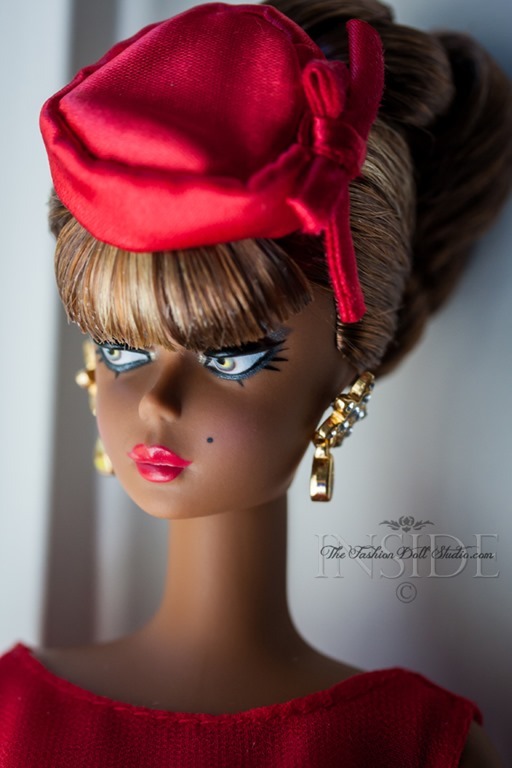 My fabulous dealer Barb of Windy City Dolls sent this lovely lady to me last week and I finally had a moment to get her out of the box and in front of the camera. She does not disappoint. The fabric of the dress is nice and soft. Very feminine. 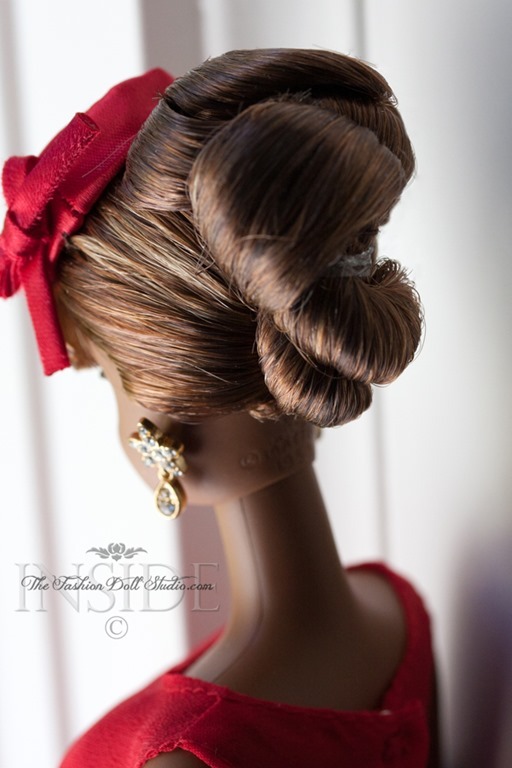 I had heard some concerns from other collectors regarding her hair. 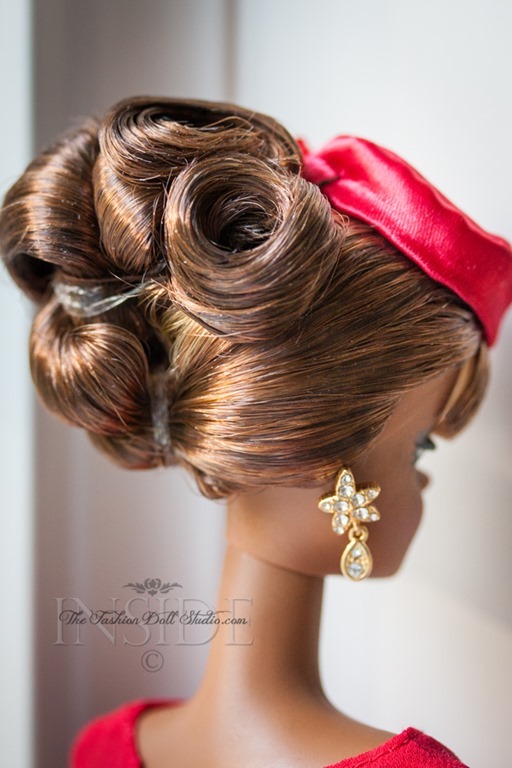 The promo shots showed an elaborate updo. The question was…how will this translate to actual production ? Will the hair look like the promo shot or will it be “one hot mess” when it arrives? I opened the box and am happy to report that the hair does in fact closely mimic the promo shot, or at least mine does. I also love the honey highlights in this hair. I am not going to lie, I had to make one little adjustment to the hair. One of the curls in the back was not as tight as it could have been and it stood up too high for me. I solved it with some hair gel and a pin. If I were braver, I would give her a little bit of a bang trim too. 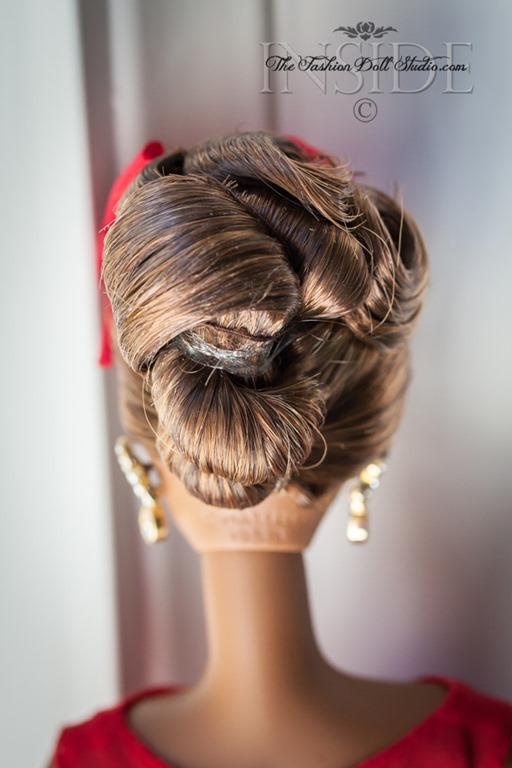 There are visible rubber bands in this coiffure …not a particular favorite of mine… but given the ornateness of the design, I am willing to live with it. I am very pleased with this latest BFMC effort by Robert Best. 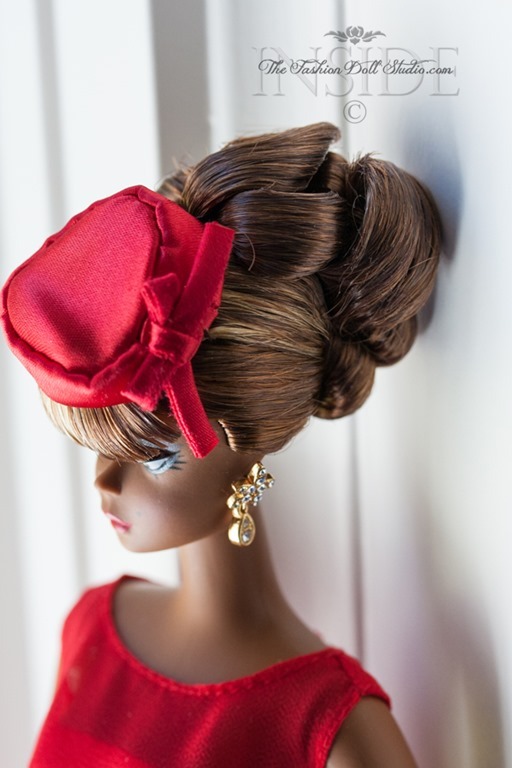 I mean come on…how can I not love a Silkstone in a Dior inspired dress . Photos below are both 1950’s Dior dresses. This entry was posted on April 20, 2015 by raberry65. 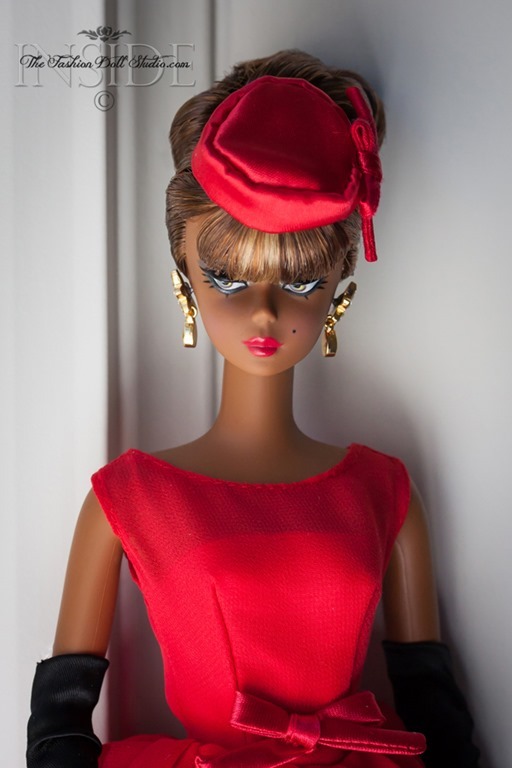 It was filed under Barbie, Silkstone and was tagged with BFC 2015, BFMC, Christian Dior, Doll Photography, Fashion doll photography, Inside the fashion doll studio, ITFDS, Little Red Dress Silkstone Barbie, Mattel, Rebecca Berry Photography, Robert Best. She’s gorgeous! The dress, the hair, the skin tone, the amazing eyes … it all works very well together. 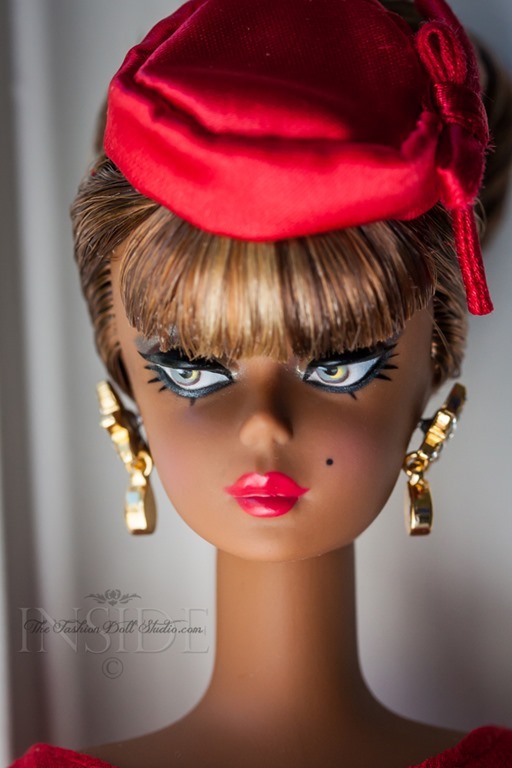 Personally I like the length of the bangs, it makes her look mysterious :-).